Have you ever wondered what happens to the different stars in the night sky as they get older? 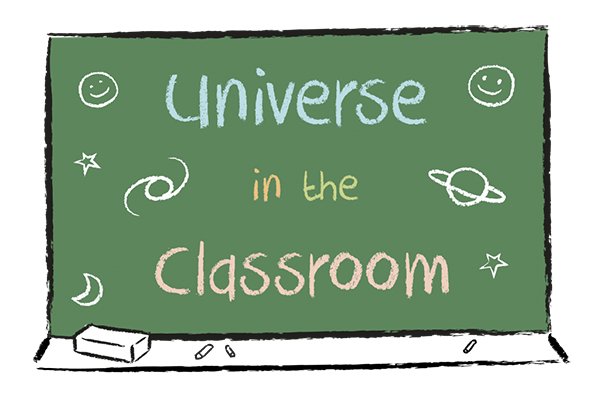 This activity lets you explore the life-cycle of stars and is linked directly to Secondary School curriculum on this topic. Star in a Box is an interactive webapp which animates stars with different starting masses as they change during their lives. Some stars live fast-paced, dramatic lives, others change very little for billions of years. The webapp created by LCOGT and Cardiff Astronomers (with funding support from a public engagement grant from STFC and the National Science Academy of Wales), allows students to visualize the changes in mass, size, brightness and temperature of stars for all these different stages. Here we provide some materials for teachers directly linked to the Lifecycle of Stars topic, to use Star in a Box in the classroom including powerpoint files, worksheets and cover sheets for Schemes of Work. These materials have been created with local teachers (with thanks to undergraduate student Megan Davies) to link directly to the curriculum. The files below allow the Star in a Box data to be studied and analysed in Microsoft Excel. 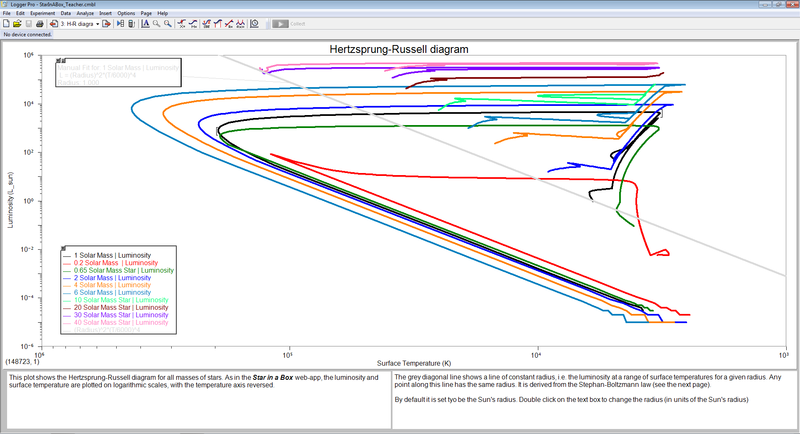 There are two student versions, both of which require the students to plot the graphs (instructions are provided within the files). 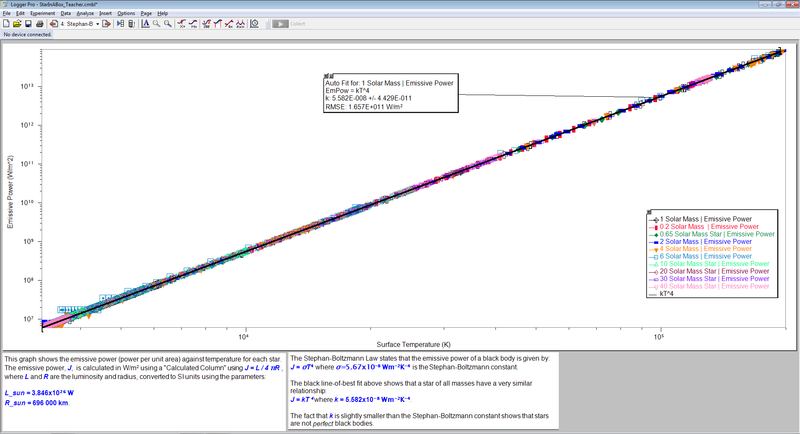 One has additional columns of data already present, for the purposes of studying the Stephan-Boltzmann Law and energy conversion rate, while the other will require the students to calculate the variables (instructions provided). The teacher version has the graphs plotted. 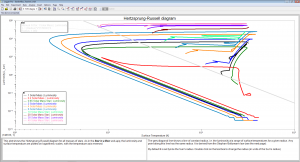 The files below contain the data from the simulations used in “Star in a Box”, which can be used as an alternative to analysis in Microsoft Excel. They will open in Logger Pro, commercial software which is freely available to schools which participate in the Inspiring Science Educationproject. Using Logger Pro, students can easily plot graphs, calculate additional values, analyse the data, and conduct their own investigations. 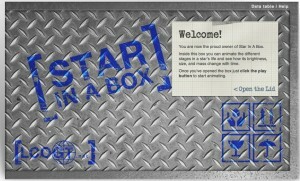 There are additional resources on the LCOGT Star in a Box page.